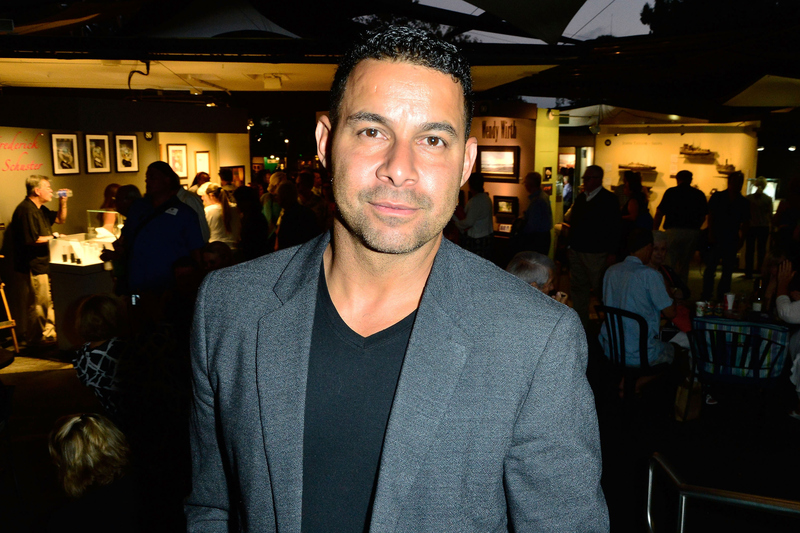 Jon Huertas talks "Castle" future, new film "Reparation"
The future of "Castle" hasn't been solidified yet, but Jon Huertas, for one, is hoping for another season -- and signs are pointing in that direction. Although ABC hasn't officially announced a season 8, Huertas (Javier Esposito on the show) told CBS News, "I know the studio and the network -- I think they're into it. They already closed Nathan's [Fillion] deal. And all our contracts are up." The series, which follows famous mystery novelist Richard Castle (Fillion), launched in 2009 and is currently in its seventh season. A few more episodes remain before the May 11 finale, which is expected to divulge more about Richard's back-story. "I think the most important thing is --- we're going to find out at the end of the season is a little bit more about Nathan Fillion's character, Castle, and what drove him to become the man that he is -- go back to Richard's childhood and find out what made the man. And what caused him to become a crime novelist," Huertas said. There's some development with Huertas' character, too, he says. "I think that my character is always first and foremost trying to be a great detective...And the thing is about Castle -- he always has a suspicion of him because Castle has done some things that were questionable as far as his disappearance -- that didn't back up. Finally, he gets to know Castle and who he really is," said Huertas. "It gives him solace into letting this guy complete into his life." As for the season 7 finale, Huertas says it "ends ambiguously," adding, "There could be another book in the series to come out." If there is a season 8, Huertas hopes viewers will get to find out more about his own character, along with that of Kevin Ryan, played by Seamus Dever. "One thing that's very important is that there are some unanswered questions in our characters' past that we need to address. Part of what he and I are looking to do next season is to make sure we support that and shine a light on what makes our relationship super strong. I think we're just trying to get to a place with the creators of the show and the writers that makes sense to us," said Huertas. The focus right now is on next season and how it can push ahead, he added. With seven seasons under their belts, the stars of "Castle" have this whole thing down -- from the overall flow to the day-to-day shooting. They also know their characters really well, Huertas says. "We don't have to build who the characters are anymore," he said. "We take what we created and we apply it to the material and the writing. And we try to figure out how to have as much fun with it as possible and make each other laugh while we're doing it -- and make the crew laugh." Huertas think that camaraderie shines through in each episode, noting how the actors' rapport combined with their social media activity (they're often live-tweeting during the show) have both built a connection with viewers. "What stands out is our chemistry...It comes across on-screen because we have it on-set. I think people want that in their lives and they don't have that right now, they can get inspired by our chemistry and our rapport...And it allows people to have a good time with us," he said. Huertas will next be seen in the film "Reparation," which premiered over the weekend at the Newport Beach Film Festival in California. It follows Bob Stevens (Marc Menchaca), a small-town farmer with a three-year hole in his memory, who's shaken when a stranger appears claiming to have been his best friend from the Air Force. "Through dreams, he sees my character, Jerome. And when I show up, it just blows Bob and his family away," Huertas said about the psychological thriller. "When I come in you don't know if I have a good intentions or ill intentions. There are some answers that I'm looking for, and Bob is the only that has those answers. And I don't seem like an up-and-up guy to his wife. His wife is wary of me, but also what my characters represents is the key to lock of bob's missing memories and what happened to him in his past." Written and directed by Kyle Ham ("She's All That" "Cinderella"), "Reparation" also co-stars Virginia Newcomb ("The Theatre Bizarre" "Moonlight Mile") and will screen again on April 30. Meanwhile, Huertas will soon shoot scenes for a new Ed Burns film, but the timing on that is unclear; he's waiting to hear back from ABC first about "Castle" before he schedules those dates. "This is a dream come true to be an actor on a television show that goes this long," he said about "Castle." "So with that you kind of how to look at it like, 'Wow, I have to take advantage of this moment and have as much fun here as I can because who knows how much longer this moment's going to last.'"